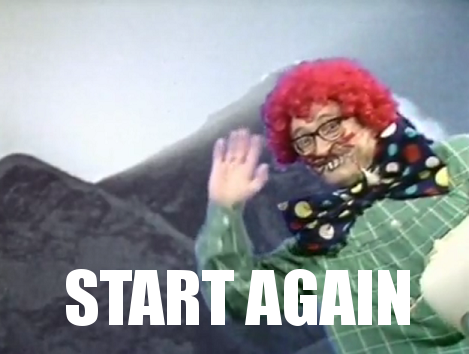 Sorry, this review has been due a little while. Anyway, to put it quite bluntly, Redshirts is probably the most fun Star Trek novel I’ve ever read. Wait, no. That’s not quite right. Redshirts is technically not a Star Trek novel. Set in a similar universe, it’s the story of several Ensigns; including main protagonist Andrew Dahl, who are assigned to the Intrepid, capital ship of the Universal Union. Upon arriving and being transferred to their various posts, they start noticing strange goings on around the ship. Crew members seem like they’re in a hurry, a magic Box can provide the solution to just about any problem, and perhaps most worryingly, everyone seems intent on avoiding away missions. On every away mission, someone is guaranteed to die in some ludicrous way (ice sharks!!! ), but it’s never the Captain, science officer Q’eeng, or the handsome yet useless Lieutenant Kerensky. 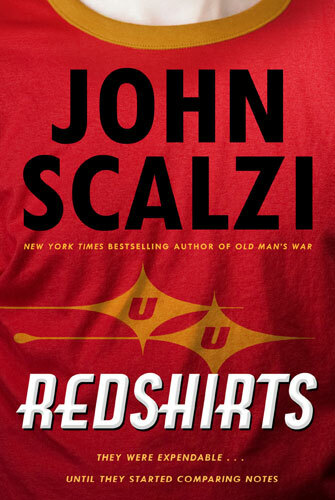 In case you hadn’t realised from the title, and from that description, Redshirts is a novel about the phenomenon of writers fabricating tension in Star Trek episodes by killing random people on away missions as a means of supposedly raising the stakes. This method of creating drama is one that has always irked me. Every Star Trek show focuses solely on the bridge crew, aside from the odd episode like TNG’s Lower Decks and Voyager’s Good Shepherd, which give some exposure to the forgotten crew members. The problem that occurs is that when Kirk goes on an away mission with Spock, Bones, and Ensign Jimmy, it’s pretty damn obvious which one’s getting offed just before they cut to adverts. It’s false drama. We don’t care about it because the character has never been seen before. They’re not even characters, they’re props. Redshirts succeeds on so many levels. It does mock the practice, but does it all with a wink and a nudge. By putting the bit part characters front and centre it elevates them from their prop status, and I legitimately cared about every one of them. It’s a little cruel in a way. Because of the set up, casualties are pretty much guaranteed, and I didn’t want to see any of my favourites die. Thankfully, the book balances this all out by being funny and clever about it in equal measures. Just as I thought the plot was settling into something that was good, but a bit rote, a huge twist came along to mix it up, taking the whole thing in a different direction. I won’t give away what the twist was, but it did leave me reeling, and the last part of the story after it was a joy to read. As for the humour, I imagine it’s funnier to Star Trek fans than non-fans, but the redshirt phenomenon is sort of cultural knowledge. John Scalzi never relies totally on having seen specific episodes of Star Trek, so I would guess Redshirts will work just as well for someone with only a vague idea of it, or someone introduced to the franchise via the JJ Abrams films. The only part of the book that brought me down a little was the last quarter or so. The ending of the main story occurs at about 75% of the way through, with the last part devoted to three codas. These were all good in their own way, and served to wrap up some dangling threads, but they didn’t live up to the rest of the story for me. Still, even with that caveat, I wholeheartedly recommend Redshirts. I found myself laughing out loud at several points throughout, and at just over 300 pages, it’s a brisk, rewarding read. This entry was posted in Book Reviews and tagged Books, fifty books, John Scalzi, Redshirts, review, sci-fi, science fiction, Star Trek by Chris. Bookmark the permalink.